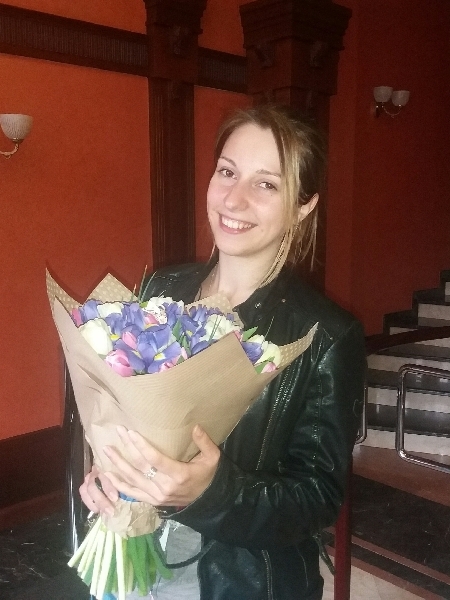 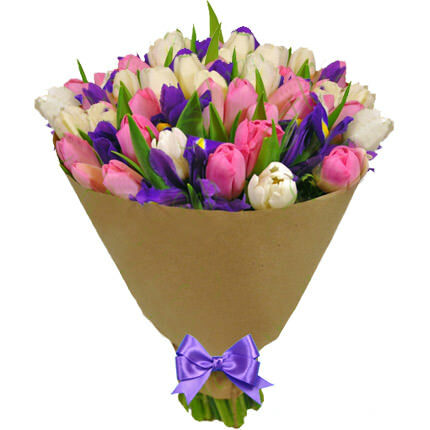 Gentle spring bouquet will please your women ion a lovely holiday! 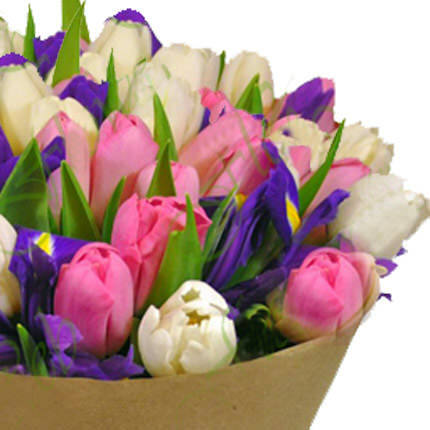 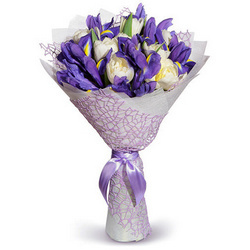 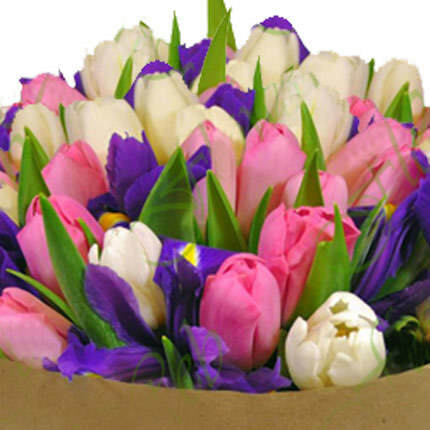 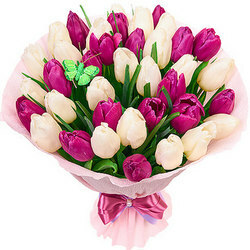 Composition: 30 white and pink tulips, 9 blue (purple) irises, decoration. 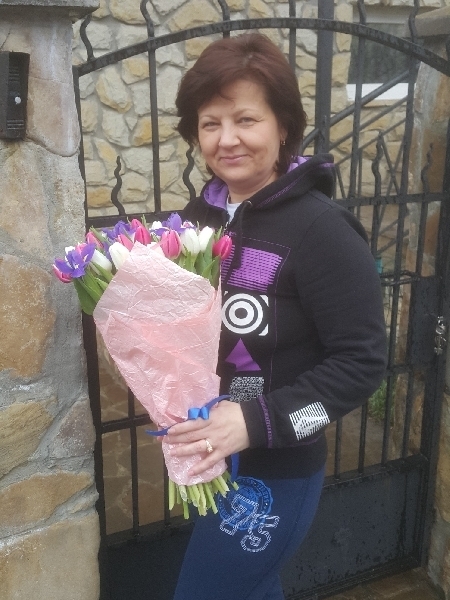 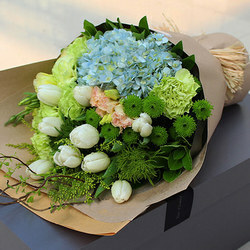 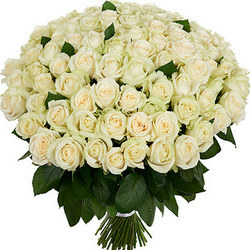 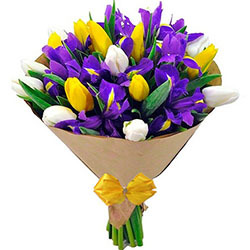 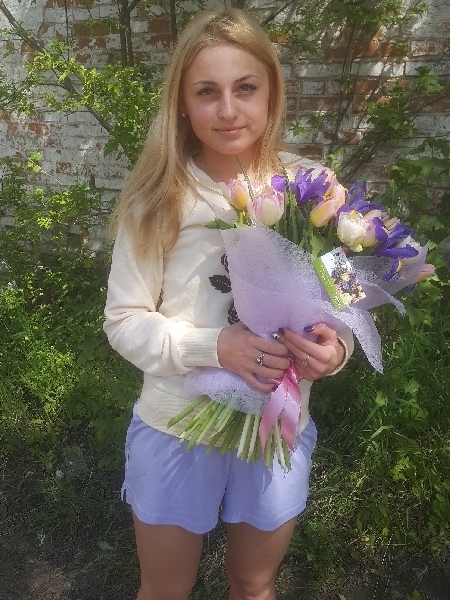 20032019 © Flowers.ua Bouquet "Breath of Spring"